ANH-USA: Tell Congress to Support the BPA Act! The endocrine-disruptor bisphenol-A (BPA) has been linked with serious health problems, including cancer, birth defects, and heart disease. Several countries have banned it, and a number of US states have banned BPA in baby products (toys, bottles, sippy cups). Unfortunately, BPA is still in children’s dental devices, cash register receipts, and food packaging. It is used as a sealant in the lining of canned foods, and it’s in many plastic bottles. A new bill introduced by Sen. Edward Markey (D-MA) in the Senate, and Reps. Lois Capps (D-CA) and Grace Meng (D-NY) in the House, would ban BPA in food packaging. The bill, S 2572 and HR 5033, currently has twenty-one sponsors in all. Please contact your legislators immediately and ask them to support the Ban Poisonous Additives Act of 2014, also known as the BPA Act. Please personalize your message if you have the time! I was very pleased to see that a new bill introduced by Sen. Edward Markey (D-MA) in the Senate, and Reps. Lois Capps (D-CA) and Grace Meng (D-NY) in the House, would ban BPA in food packaging. S 2572 and HR 5033 have twenty-one sponsors so far. I'm writing as your constituent to make sure you're among them. Bisphenol-A (BPA) is a known endocrine disruptor that has been linked with serious health problems, including cancer, birth defects, and heart disease. Several countries have banned it, and a number of US states have banned BPA in baby products (toys, bottles, sippy cups). Unfortunately, BPA is still in children's dental devices, cash register receipts, and food packaging. It is used as a sealant in the lining of canned foods, and it's in many plastic bottles. "The dangers of BPA have been well demonstrated," Markey, Capps, and Meng wrote in an opinion piece for Roll Call. "Exposure, even at minimal levels, has been linked to numerous health problems, including breast cancer, altered fetal development, infertility and behavioral changes." It's time to follow the lead of other countries. China has banned BPA in baby bottles; the European Union banned use of the chemical entirely; and Canada declared BPA to be a toxic substance. It's time we banned a substance that is making countless Americans sick without their knowledge. And the first step is banning it in our food packaging. 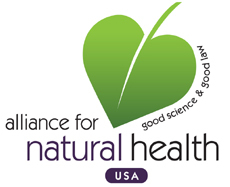 Please support the Ban Poisonous Additives Act by becoming a co-sponsor!